Local organisations across the East Durham Rural Corridor AAP area are set to benefit from the Your Money, Your Area, Your Views Community Grants Fund. 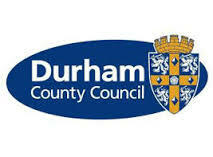 The fund, which is being made available through all of County Durham’s Area Action Partnerships (AAPs), has proven to be very popular within the East Durham Rural Corridor area with 38 local groups and organisations applying for a share of the £85,000 grant pot. The funding has been provided by East Durham Rural Corridor AAP. The decision on who gets the money will be made by members of the public who will get to vote on their favourite projects at the East Durham Rural Corridor AAP event, being held on 23rd November at Sedgefield Community College, Sedgefield between 10am – 2pm. As long as you live, work, volunteer or study in the East Durham Rural Corridor AAP area and are 10 or over, you will have the opportunity to vote on projects that will benefit the local community. At the event, projects local to the area will be showcasing what they do and what they’d like the money for. After viewing the projects people will be asked to complete a ballot paper and vote for which 4 projects they would like funding to be awarded to. This approach, known as ‘participatory budgeting’, has been tried in several areas in the past, including East Durham Rural Corridor AAP area but this is the first time it has happened right across County Durham. During the event the local community will also be given a chance to take part in an exercise to look at how the Council saves the predicted £100m from its budget. You can find more information on the events by visiting www.durham.gov.uk/eastdurhamruralaap or by calling the East Durham Rural Corridor AAP Team on 03000 261128. Do u need TRANSPORT for Its Up 2U on Saturday 23 November? If you want to go and vote for your favourite project but need transport, then let us know. The 16 seater mini-bus will be returning from Sedgefield Community College at 11.15 am and 2.00 pm.